Born in Moblie Alabama, and raised in a dysfunctional family with an alcoholic and often absentee father, Lynn Marlin was heavily affected by her less than ideal upbringing. She grew into a young woman who was plagued with insecurity, rejection and the paralyzing fear of rejection, anger an inability to trust, and most of all the false sense that she was unlovable. Despite all this she clung to her Catholic faith and God did not abandon her. Through the years, the Lord helped her recognize His love for her. 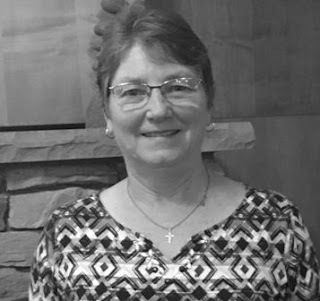 Then, after she was miraculously healed from a debilitating back ailment, her parish priest led her through healing ministry instruction so she could pray effectively with others. This placed her on a path that led to her spiritual healing and helped her learn to accept the truth that God did love her very much. Her heart was gradually opened to the Holy Spirit who graced her with the charismatic gift of scripture. God's love for her has since carried her through many of life's trials including the tragic loss of her two oldest sons, the demands of caring for her infirmed mother for over 20 years and the challenge of housing her daughter's large family for nearly 2 years. Come hear the beautiful story of how God's restorative love healed His precious daughter.